Food blogger and Come Dine With Me favourite, Kimberly Mayhead, spends office hours at a slaughterhouse. The 27-year-old Hawke’s Bay farm girl is Auckland Meat Processors’ (AMP) quality assurance adviser, and she loves the meat industry. She joined AMP five years ago, after graduating from Otago University with bachelors’ degrees in both human nutrition and marketing. In regulation-white gumboots and bright pink lipstick, Kimberley now patrols the slaughterhouse – joking with men sawing up carcases and chatting to the offal-packing ladies. She’s quite a vision – pint-sized and beaming between the swaying 800kg cow carcases slowly getting peeled before the boning room. The Meat Maiden blog was born three years ago, as a rebuff to her mother’s suggestion Kimberley take up crochet. Already the go-to advisory for friends at supermarkets in need of meat recommendations, Kimberley decided to widen her reach with a website. 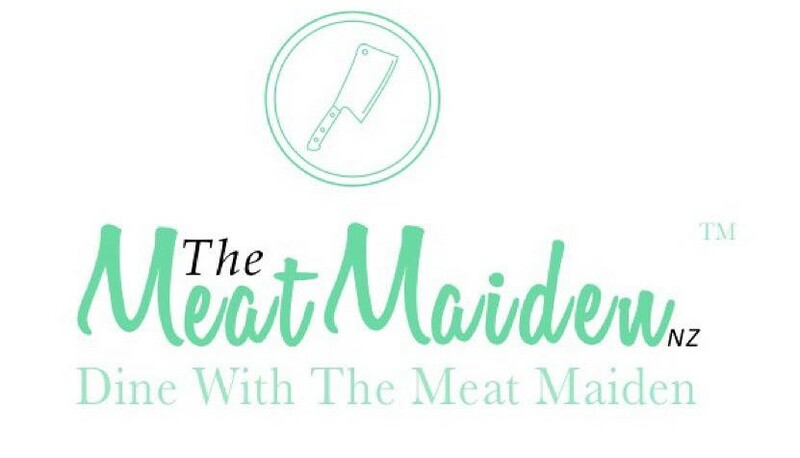 Now she posts regular recipes and advocates the benefits of eating grass-fed New Zealand meat at www.themeatmaidennz.com. She even converted a vegetarian flatmate. The Meat Maiden, Kimberley Mayhead, prepares pork belly in her Ponsonby kitchen. “A girl we lived with started getting into long-distance running and just got so tired. “So, we put her on to lean steak and venison and it got to the stage where she was still jumping around the house at 10.30pm. We’d have to say, ‘no more meat for you – it’s time for bed!’” Kimberley says. Testament to her blog (and personality), she was invited on to TV3’s Come Dine With Me last year – coming first-equal in a rather raucous line-up. “So much hilarity, so much food,” she said of her week with a knife-whispering body-builder and a suspected clown-phobe. Kimberley’s eaten her way around the world as well as the TV screen. She dismissed the fatty fare of the United States, revelled in Paris’ huge Bastille market where she “ate strawberries and fresh bread like a local”, and found the health-based reasoning behind Moroccan food traditions “fascinating”. During travels to less-than-clean places, Kimberley has been known to live on chips and Coke. An uber-awareness of germs is part of her job description. “I’m very pedantic about food safety, but that doesn’t mean I’m always too health conscious. I still drink like a fish and eat takeaways,” she says. But fresh and fusion Kiwi cuisine is her favourite.